On Saturday, December 1st, the industry will once again join together in remembrance of Kurt Caselli at Fox Raceway in Pala, California for the sixth annual Kurt Caselli Ride Day presented by Rocky Mountain ATV/MC. The event is open to the public, with all ages in mind. Saturday night camping will be available and can be reserved when you preregister for the event. 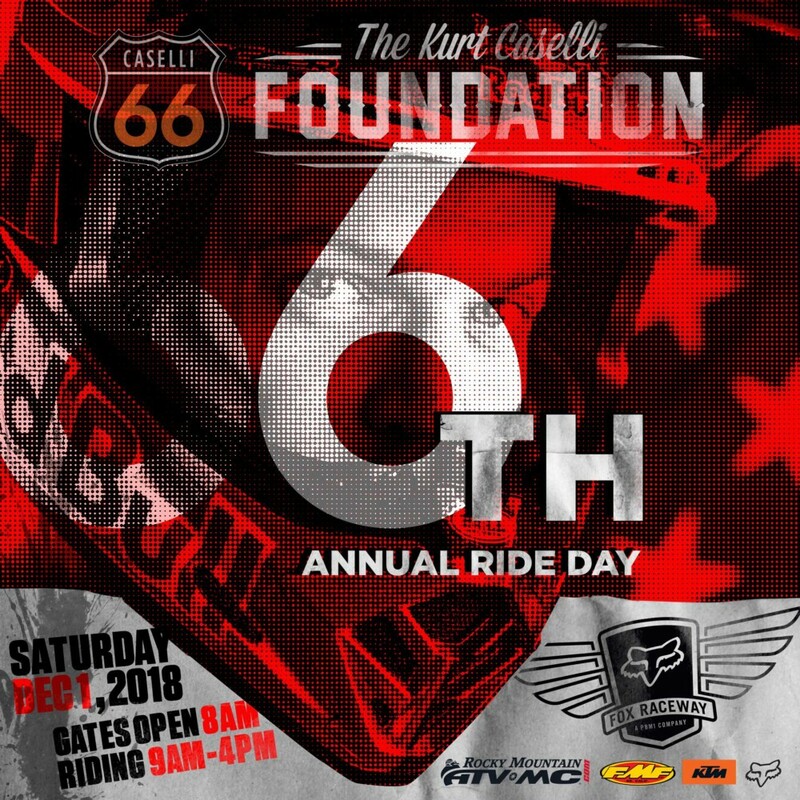 All proceeds will benefit the Kurt Caselli Foundation and help fund the growing list of safety initiatives and projects to protect and support the lives of off-road riders. Check out the 2018 budget and list of projects at https://www.kurtcaselli.com/programs. Preregister now at https://give.classy.org/kc66rideday to save time with our special VIP entrance line and score a free commemorative event t-shirt! Tickets: $25/person, Kids 12 & Under: Free | Get tickets here! Stacyc Learn To Ride demos for the kids! Food, Music, Vendor Row & more! Sixth annual Kurt Caselli Ride Day Sponsors: Rocky Mountain ATV/MC, KTM North America, FMF Racing, Fox Racing and Red Bull. Visit www.KurtCaselli.com for more information and to get tickets now.